I have been a part of many projects over the years, but it would be an impossible task to show them all, so here are just a few. Creative from a very young age, I started out on the floor of my parents basement with crayons and markers, drawing and colouring on the back of old subdivision maps my dad brought home from work. Then I discovered the drawing program, Kid Pix, on our tiny Macintosh computer with black and white screen. I spent countless hours drawing little pictures with the awkward square-ish shaped mouse. When we finally upgraded to a slightly larger, colour screen Macintosh, I was ecstatic to add colour to my digital creations! In the late 90s to early 2000s, I developed an interest in photography and digital photo editing, which of course led to an interest in graphic design. 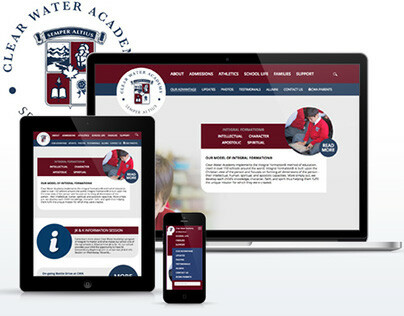 The natural next step was web design, after taking a computer programming and HTML course in Junior High. Interest turned to passion, and after several years building personal websites for fun, and receiving my high school diploma, I set out to gain more education and experience and hopefully turn my passion into a career. It may have taken some trial and error to find the college program that was right for me, but after graduating from Durham College in 2011 with a diploma in Web Development, I could finally call myself a professional, and begin my dream career! Fresh out of college, I worked for a few months at a small design firm in Medicine Hat, Alberta. 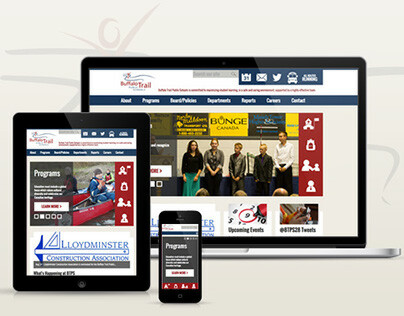 Spent a short time working for my father's company, before moving on to another local Medicine Hat design company specializing in web based, K-12 education solutions. I worked closely with IT departments at many schools divisions across Alberta to ensure their website needs were met, and exceeded. In addition to developing the front-end of many websites for schools and divisions, I also worked in the back-end side of things, investigating bugs and developing new features for the company's in-house content management system. 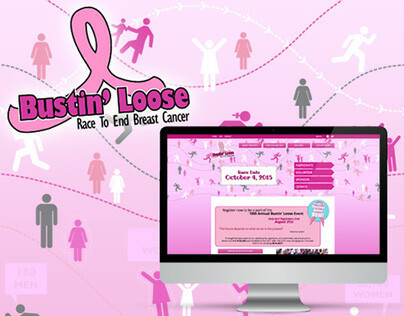 While in Medicine Hat, I also got involved in the website for Bustin' Loose - Race to End Breast Cancer. Learning about cool new technologies is one of my favourite things to do. Quick to grasp new concepts, I have a strong ability to adapt to an ever-changing industry without much difficulty. Even though I have only been working professionally in the industry for about four and a half years, the process of developing a website has already changed so much! It has gone from the simple, one-size-fits-all template, hoping users weren't visiting your site on a screen resolution that was smaller than the design, to building multiple versions of the same website to accommodate all the different devices out there. 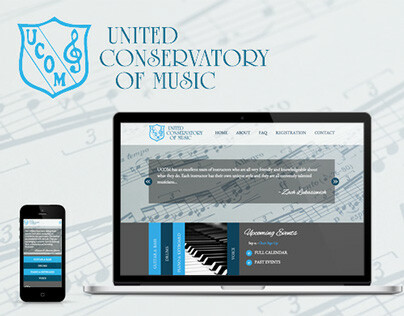 Over my years of experience, I have learned to work through the quirks of different desktop and mobile operating systems and browsers, as well as how to break a beautiful full-screen design down to fit into large desktop computers, laptops, tablets, and smartphones. I write code that is clean and organized. Not only for my own sake, but for developers who may come in after me to make adjustments, or even just the inexperienced business owner who needs to update a couple lines of text on a page. I pride myself in the readability of my code while also making the visual elements of a website flexible and easy to adjust, without having to completely re-code the page, for responsiveness as well as quick turn-around on changes and reorganization of content and design elements. Ontario has been quietly calling me home since I originally left London in 2001. My brief time on the north side of Lake Ontario, in Oshawa, back in 2009 to 2011, wet my appetite. However, after being away for four years in Alberta, it was time for a change of scenery. 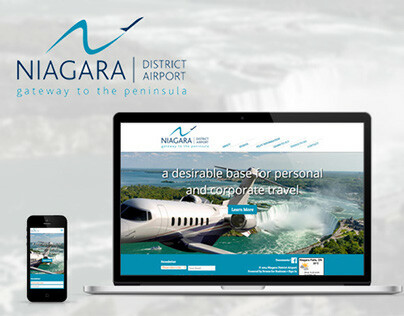 In early 2015, I relocated to the south side of Lake Ontario, the Niagara Region. Later in the year, I began working as a front end developer at Landlord Web Solutions. I am honoured to be a part of this growing company and excited to find see what the future has in-store.